Welcome to the world of Blockball! My name is Andrés, and I’m the creator of Blockball, a fictional sport. I was so inspired by Hawkfan89's PHL that I decided to make the move and post this work! I hope you enjoy this project as much I do. This is my first time posting anything on SportsLogos, let alone a full league. The main league is the Nippon Professional Blockball League, but I will also explore the foundations in High School level. Now, onto the game! Blockball is a quick team sport who combines abilities from many sports, like baseball, handball, volleyball and tennis, and its mostly played in Japan, country who holds the top professional league of the sport in the world. This sport is heavily based in on the Mesoamerican Ball Game. The game play is simple: The players hit a spherical rubber ball with a shield-like protectors called Blockers to make passes and shots. Every position has its own unique blocker types, located in forearms or hands. The objective is to score on the rival net, located on the opposite side of the rectangular field. The use of the blocker also encouraged teams and players to be creative, testing new forms to use them. Because that, the sport is gaining new techniques day by day. Hitting a player with the blocker is totally discouraged and penalized. A full game of blockball consist in three periods of twenty minutes. The clock must stop when a play is officially over. The rubber ball diameter is 55 cm. The ball can be white, optical yellow, or red, depending of the uniforms used by the teams and the court coloring. The uniforms aren't defined as home and road, so lots of games are displayed with both teams wearing colorful jerseys. By the rules, a team must have at least fourteen players on the official roster: Seven in the field and one player in the bench for each position played by a regular. This is a minimum. Some teams have just fourteen and other ones have lots of reserve players. Through the year, the teams can choose and scout new players in recruiting camps. The best ones can join the roster for future seasons. Teams are allowed to change six players per game, and players who left the game can come back if their coach wants it. This sport was created in year 2040 in Inagakuen Public High School, as a way to relax from school club activities. Many of those players then practiced the game in parks and streets, gaining attention from other high schoolers. Those external players did spread the word about the game, and new teams were founded in different schools. Ironic was that at the end of the year, Inagakuen created a blockball club, due to popularity. For an instance, some sport magazines called it the “Viral Sport”, as students show on Internet how they made the shields and also uploaded videos of them playing. The blockball rules were set by Nakamura Gou, Physical Education teacher and first referee of the sport. With those rules, Saitama Prefecture high schools started to play against each team. Many students from other activities, like volleyball, basketball and track clubs also joined blockball teams, searching for something new, or an opportunity to play in a first string team. That first year was huge for Saitama players. The sport was widely recognized in the prefecture, and team captains decided to make the sport official with the help of physical education teachers. The game was now an official high school sport in Saitama. No one in the blockball circle knew what was really happening outside the prefecture. Tokyo, Hokkaido and Kanagawa were the next cities to adopt Blockball as a high school official sport. From Tokyo, the sport started to develop in full force, as some players were students who came from other prefectures. The Internet was the main tool to spread Blockball News, as high schoolers called it. The player base grown dramatically in the summer, as non local students played with people in their native prefectures. By the third year, Blockball was widespread across Japan. The next two years were all about creating strong teams. Prefectural Blockball Federations started local tournaments, and High Schools fought for them practicing hard. In 2045, Prefectural Federations created the High School Blockball Association, and with it, a new national tournament: The Nationals of Blockball. To reach the Nationals, each team must win their prefectural Single-elimination tournament first. The Nationals are also a single-elimination tournament. The winning team will receive a prize in money, a commemorative plaque, and the symbol of the Champion: The Sky Flag. The flag will be guarded by the winning team until the opening ceremony of the next championship, where the winning team captain must give the flag back. Ten years have passed since the creation of the HSBA and the Nationals of Blockball, and Japan now have a National Blockball Committee and the Blockball Players Alliance. Both entities collaborated to make the next step into history: Eighteen prefectures were selected to host the first professional teams of the sport, creating the Nippon Professional Blockball League. Players from all generations and cities rejoiced upon the opportunity to play in professional level. The race over the first Nakamura Cup just started. The clock must be stop if a play is over. Draws are allowed in regular season. Overtime periods in playoffs will be the same length as a regular period. The main rule of the Blockball is to keep the ball on the air. Players must hit the ball with their blockers to make any play they need to do. Only setters and goalkeepers are allowed to use their hands in a liberal way. If the ball touches the floor, a player can recover it an keep the game alive. This play is called a Pre-Floor, and it's only valid if the ball didn't touch the floor three times. After recovering a pre-floor, the player must deliver the ball immediately in the next four seconds. If the ball touches the floor three times, the ball will be considered as a Flooring, and the game must be interrupted. The team who caused the flooring will defend the next play, and the rival team must serve the ball in their own service point. If there's no security about who caused it, both setters must fight for the ball in a toss on the Draw Circle. Hitting a player with a blocker is penalized with five-minute suspension. If a player of the goalkeeper’s team steps their goalie zone before he blocks or touches the ball, the play will be considered as interference. In consequence, the rival team will have a penalty shot. To play a penalty shot, the setter and one forward must make a combination play, serving from the third line. If a team steps in the rival goalie zone while attacking, the play must be nullified, and the setter of the goalkeeper’s team must start again. Jumping on the goalie zone is allowed. They keeps the goal safe for the team. The goalie uses two cushioned metallic blockers attached to his forearms. They're one of the two players allowed to use his hands freely. The goaltender owns his zone. Players entering the Goalie Zone will result in off-sides and penalizations. Uses number one on the jersey. The setter is the control tower of the team, and this position is awarded to the team captain. They must serve the ball in the setting point to start a play. They're also allowed to use his hands in the middle of the play, taking the ball and serving again if necessary. Also, they can be part of the offense squad: Can play as an attacker, but must touch the ball when, at least, three members of the team touched the ball before. Their blocker is different from the others: a circle attached to the dominant hand. Uses number two in the jersey. The defensemen it’s the main protective unit. A team has two defensemen in the field. The shields used by the defenders are bigger than the rest, like old knight shields. Their zone is below the second line, and they can go up if the attackers do it too. A defenseman can attack as well, but cannot go over the third line. Uses number three and four in the jersey. The Midfielder it’s a mixed position, both offensive and defensive. The position goes between line 1 and line 3, in the so called neutral zone. Some teams use the center as a setter extension, because they can change the direction of the ball as the setter orders. It’s like a directional mirror for the offense. In defensive plays, they are the top ball interceptor of the squad, due to their mixed position. Their shield is like the forwards one, slightly wider. Uses number five in the jersey. The principal attack unit. The forwards are the main attackers, receiving the passes from the rest of the team to play together to confuse the enemy. The teams have two forwards in play, one in each wing of the court. Because that, the forwards can make incredible cross plays to defeat the goalie. Their shields are like the goalie gear: Cushioned Metallic shields attached to the forearm. Due to the shields, is encouraged to have forwards with different dominant arms. Uses number six (LF) and seven (RF) in the jersey. Were we go! This is all for today. I will post every team on the league, and also will post about the Ten Nationals of Blockball while I post the professional teams. I hope you guys enjoy the ride! Searching for real Japanese high schools can be tough. Any comments are accepted with open arms! Until next time! The team must show the league logo in their left arm, using the team colors. The official uniform provider for the league is AXIS Blockball equipment. AXIS was a brand associated with Mizuno, but recently they separated ways. AXIS is the top provider of blockball equipment for Japan and the world. The CEO of AXIS told the press "We are called AXIS because the game uses a lot of physics into the game. It's like playing with lasers and mirrors. The angle of the shields are a very important part of the blockball technique, and we provide the center, the axis of those plays"
Now let's start talking about the teams. Here's the general map of Japan, with every participating Prefecture marked. The CEO of AXIS told the press "We are called AXIS because the game uses a lot of physics into the game. It's like playing with lasers and mirrors. The angle of the shields are a very important part of the blockball technique, and we provide the center, the axis of those plays"
i thought it was because in ww2 japan was part of the............eh.nevermind. Oooh, Japan? I remember when Veras was doing the international leagues for his AFA, I wanted to do a Japan League, but never got around to it. 18 teams is rather large compared to what I was expecting you to do. I’m curious to see what Saitama and Hokkaido look like, if Saitama is yellow and red then I’m their first fan. Would Okinawa ever receive a team? And how long do you expect to be between your announcements of teams? Okinawa is one of the cities in my expansion/move possibilities list, to be honest! I will try to upload a team constantly, one one o two days between announcements! I have a lot to post. Also, I will post some past year HSBA Blockball finals! The second team to reveal their uniforms is Chiba Thunder. The Thunder is one of my favorite teams in the league. 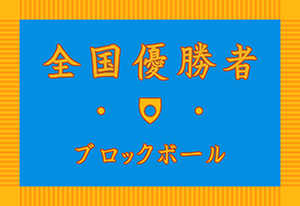 I thought of using the prefecture flag colors, blue and yellow, but there are lots of teams called Thunder using those colors and I wanted to make something different. The jersey displays the prefecture name over the player number (千葉県), the prefecture logo, a sublimated lightning, and Kanji 雷 (Kaminari), which means "Thunder". I'm back! First, I hope you're all enjoying new year festivities in your countries! The third team to reveal their uniforms is Saitama Cyborgs. The Cyborgs uniform pattern is based on circuits. In the case of the main uniform, the circuits connect every important part of the jersey: The prefecture symbol, the player numbers and the player name. This is the first team who actually displays one of the prefectural flag colors: Red. Inside the prefecture symbol, Cyborgs added a C to symbolize the name of the team. Love those unis. The pattern is looks technological, which makes sens for a team called the Cyborgs. Everything else is great as well. Can't wait to see how this unfolds. So far, I would buy one of every set.